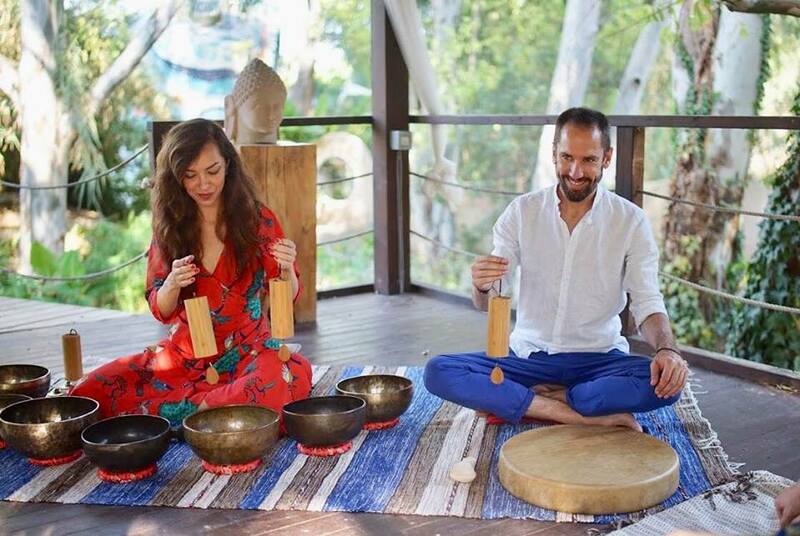 Maria and Frederic are coming from France to share with you their unique sound journey combining crystal and Tibetan singing bowls, shamanic drum, angelic voices, monochords and other meditative percussions. These journeys are highly transformative, healing and balancing, as through the sound frequencies, physical, emotional or mental blocks can be dissolved gently and easily. Come to experience transformation in a sea of light and sound!